Since the ancient times Amber has been a mysterious substance - always alive and constantly changing, similar to our human existence. In a way the theory tends to lag behind the processes of nature, for a long time we felt a lack of literature on Baltic Amber. Most of the existing books written on Amber subject were dedicated to scientific research, geology or history while a short, simple and up-to-date handbook did not exist. 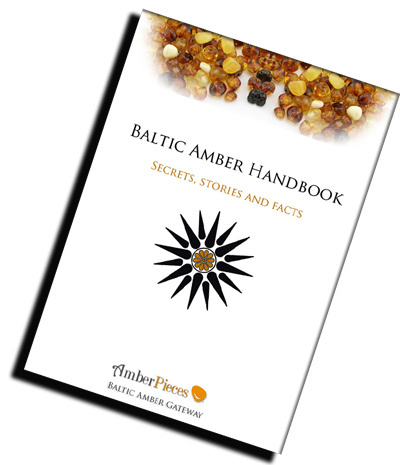 After months of hard work Amber Pieces has published an eBook entitled "Baltic Amber Handbook" to offer a glimpse into Baltic Amber world. Our goal was to collect as much up-to-date information as possible for amber lovers and to put it in such way that we would read it with a great interest ourselves. Written in 'paparazzi style' and accompanied by vividly colored photographs, it aims to pique the interests of readers and get them to play an active role in Baltic Amber discovery process. A mission to spread the word and educate people we have generously rewarded us since the process of writing this book has enriched our own knowledge and delivered a joy of creation. We hope this handbook will become a source of information not only for eternal amber admirers, but also an interesting reading for the novices. 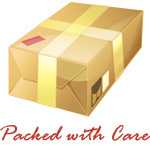 All proceeds from the donations will go towards more publications and other educational projects. Please go to the front page, enter your email in the subscription field and the link of the eBook will be sent you. Baltic Amber Handbook is available in three formats - PDF, EPUB and MOBI. "my gratitude for the gift"
"Very interesting. I wish there were more on fossils." "I sure need a good book on baltic amber"
"Kim, it is hard to say. Most of the people believe that the color is the factor that distinguishes between the age of amber, while actually it is not. Each and individual piece should be examined in the lab to know the truth. From a craftsman perspective, I would say that the most transparent and layered amber is what we call "young amber"." "What kind of amber is best and oldest age. Thank you for lots of useful information ! "So much information. I am very grateful! " "Wow, I can't believe it is free. Thank you!"